Ludwig Pfeiffer is currently working on a big project in Guayaquil, Ecuador. 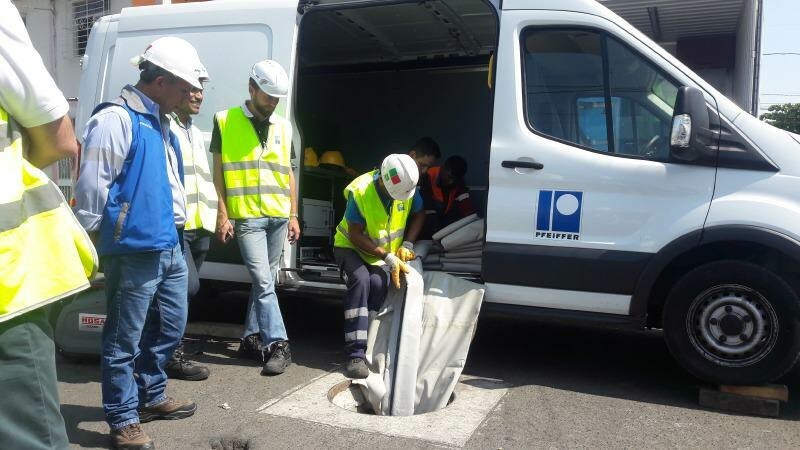 The scope of works is the inspection and cleaning of 500 km of the sewage network as well as a rehabilitation of approximately 80 kilometers of the sewage network. Most of the rehabilitation works is executed by trenchless rehabilitation methods. This project has been started in January 2017. On December 7 th, the first project milestone could be realized: the completion of the rehabilitation of two kilometers of collectors. Guayaquil’s mayor, Jaime Nebot, took this opportunity to visit the Ludwig Pfeiffer construction site. In order to rehabilitate the sewage network, a SAERTEX liner is being unwound and inserted into a sewer pipe. To inspect the network, high technical robotic equipment is being used which diagnoses the pipe status, explained José Luís Santos, General Manager of our customer EMAPAG. Then a resin impregnated polyester fiber liner is inserted, inflated and subject to the curing process with UV-light to correct structural defects. Thus, the new liner replaces the old pipe. 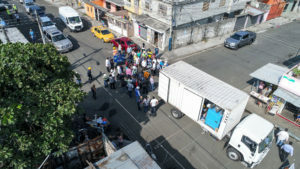 Fernando Valderrama, Project Supervisor, declared that the wastewater network rehabilitation project will cover in total more than 80 km, distributed in 42 km collectors and 48 km of secondary lines. “The new pipelines will guarantee stability and capacity, as well as make sure that we will not have any infiltration from the wastewater. 325.000 people will profit from this project”, said Nebot during his visit. The project will be completed in May 2019 with a total project volume of more than $ 20 million, added the mayor during his inspection visit.